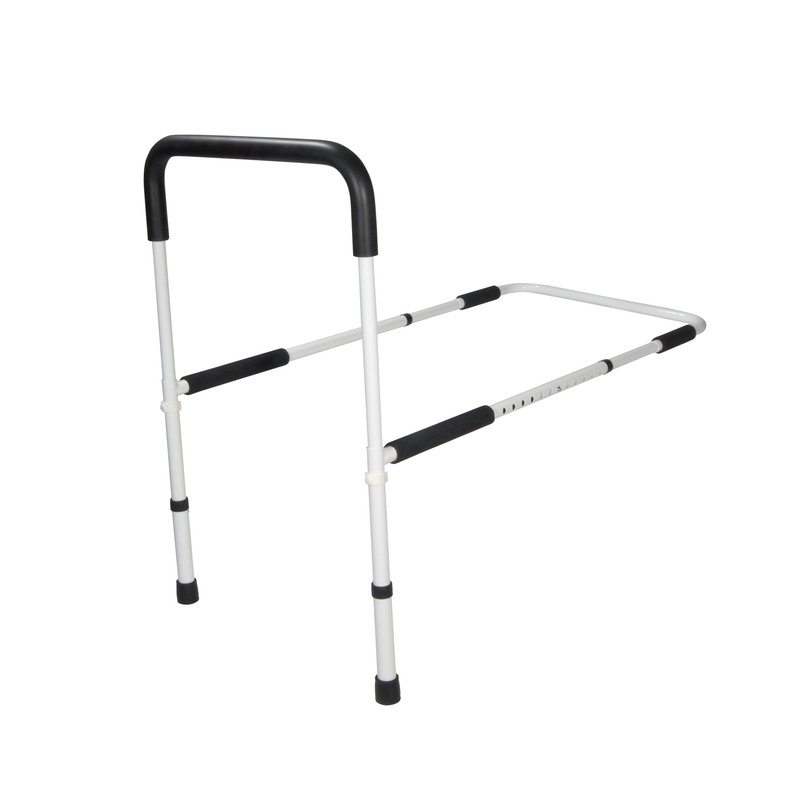 The Adjustable Height Home Bed Assist Handle from Drive Medical provides assistance for getting in to and out of your home-style bed. You won't have to worry about the fit since the handle attaches to either side of the bed. It simply slides underneath the mattress and includes an added feature on the base bar "no-slip foam" that helps hold the bar in place. The removable handle is part of an all steel chrome-plated construction that is strong solid and easy to clean. The unit arrives in three pieces and can be assembled quickly and tool-free and it also can be adjusted flat for easier storage.